Answer three questions 1. 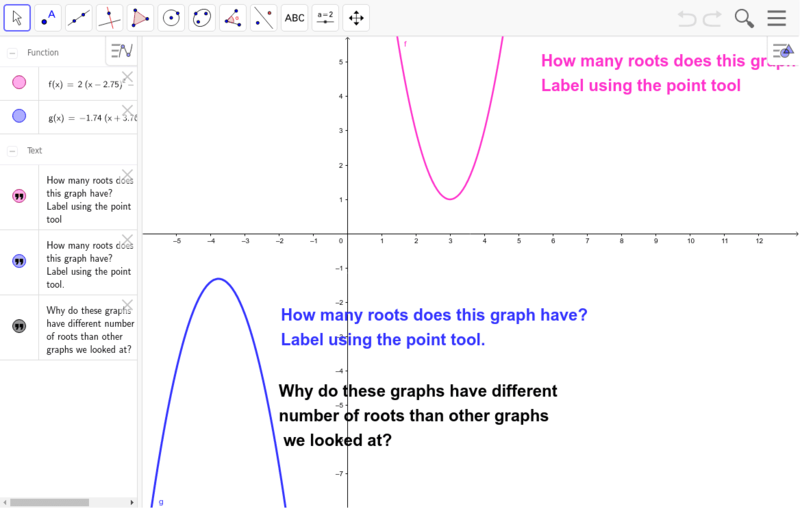 How many roots does pink graph have? 2. How many roots does blue graph have? 3. What is different about these graphs that others we looked at?